This is our complete guide to unlocking more Skill Tree options and upgrades within Sekiro: Shadows Die Twice. There might only be one skill tree unlocked at the start of Shadows Die Twice, but there are various new pathways you can unlock further into the game. 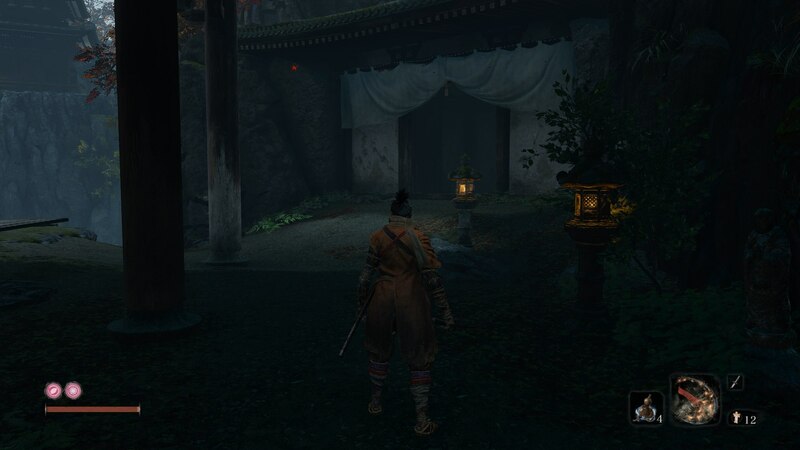 In our Sekiro skill trees guide, we'll be walking you through how to unlock new skill trees in Sekiro as easily as possible. 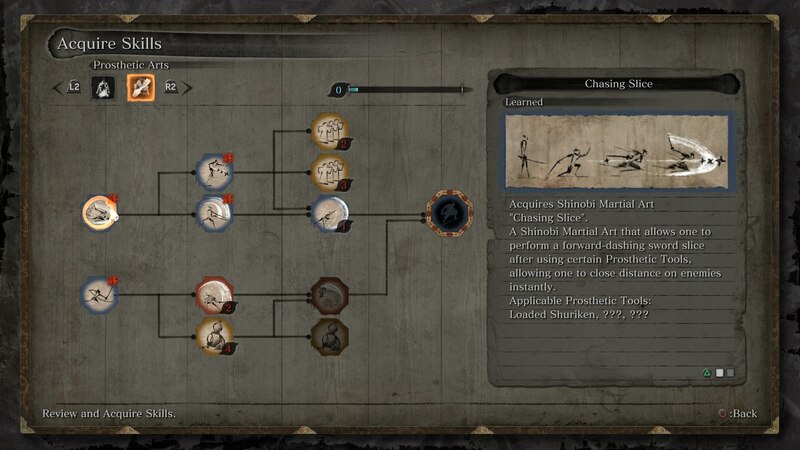 Firstly, we'll provide you with a brief list of all the skill trees you can unlock out in the world of Sekiro. Further down, we'll delve into details on how to go about unlocking each of these trees. Prosthetic Arts - This skill tree revolves around dealing more damage, and chaining together attacks with various Prosthetic Tools, including weapons like the Loaded Shuriken, Loaded Axe, and others. 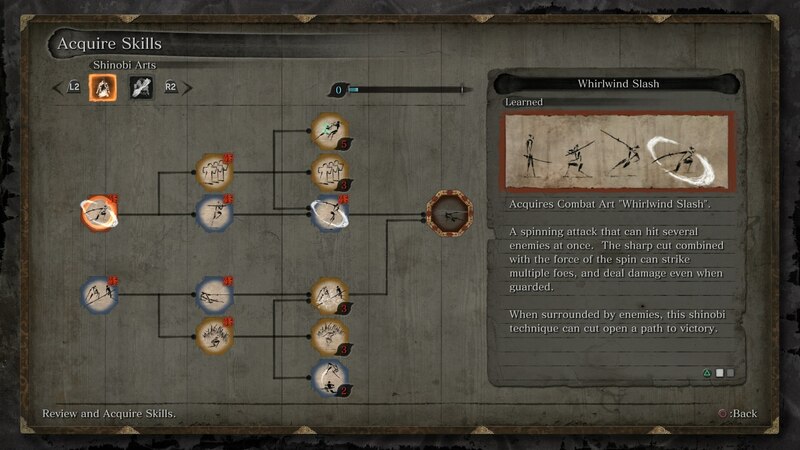 Senpou Style - The skill tree that you can obtain from the Senpou monks generally focuses on dealing physical damage in close quarters combat, with tricks that can easily break down the Posture meter of an opponent. 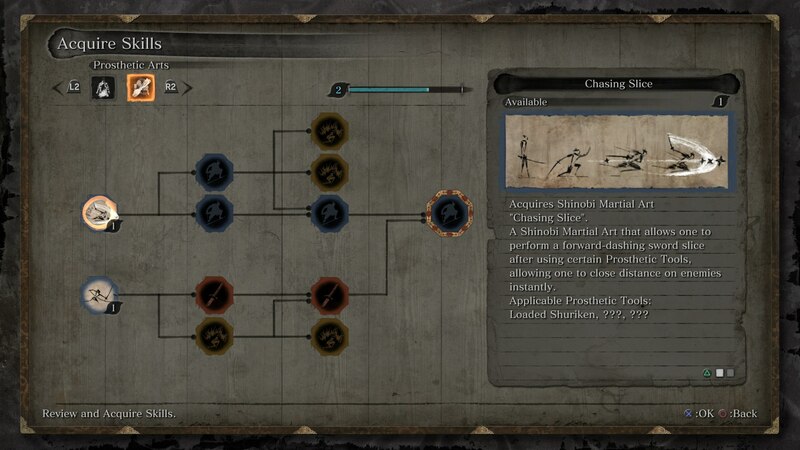 As we mentioned at the top of this guide, there's only one Skill Tree unlocked at the beginning of Sekiro: Shadows Die Twice. You'll gain access to your first Skill Tree when you first pay a visit to the Sculptor in the Dilapidated Temple during the events of the story. But to unlock additional Skill Trees, and gain access to new abilities for The Wolf to earn with Skill Points, you're going to need to explore a fair amount. As of right now, we've only found one additional Skill Tree in Sekiro: Shadows Die Twice. We'll detail how you can unlock it as easily as possible just below, and we'll be updating this guide as soon as we discover any additional skill paths. To unlock the Prosthetic Arts Skill Tree in Sekiro: Shadows Die Twice, you're going to have to track down the blueprints for three additional Prosthetic Tools in the game. 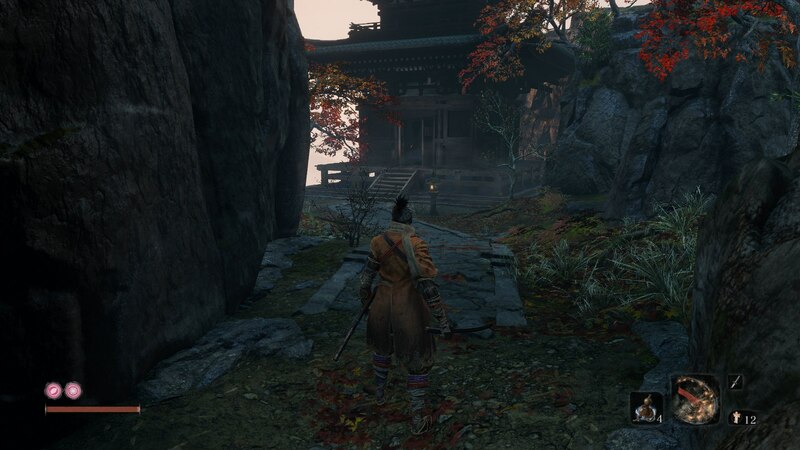 Now these are actually pretty hard to come across, and for a complete guide on where you can track down new tools for your arm, check out our Sekiro Prosthetic Tools guide. But once you have found the required blueprints for tools like the Flame Vent or Loaded Axe, and then taken them back to the Sculptor to unlock for use, the Prosthetic Arts Skill Tree is well worth investing in. Just below, we've highlighted some of the key abilities in the new Skill Tree that you should absolutely purchase. Chasing Slash - This move is excellent for use with the Loaded Shuriken. Simply fire off the Loaded Shuriken, and immediately tap the right bumper to zip forward to your opponent, executing a slashing attack with your katana in the process. Fang and Blade - When you've got the Loaded Axe, this ability is a must. Attack with the Loaded Axe on the right trigger, then follow up with a standard attack from your sword to chain the two together. Emma's Medicine: Potency - This might cost four Skill Points, but it's well worth investing in to raise the power of the Healing Gourd and Pellets. To find this Skill Tree, you're going to have to journey far into Senpou Temple. Once you've reached the Main Hall Sculptor's Idol, retreat back out of the hall, going back outside through the door which you entered. Ahead of you there'll be a cave entrance which you should take. You now need to worm your way through this cave system. It's not too challenging, just be sure to avoid the fire attacks from the mini Long-Arms in the cave. Once you've vaulted up a few ledges using the grappling hook, you'll be back outside with a small building ahead of you. Open up the door to this building, and you'll see an item ahead of you. 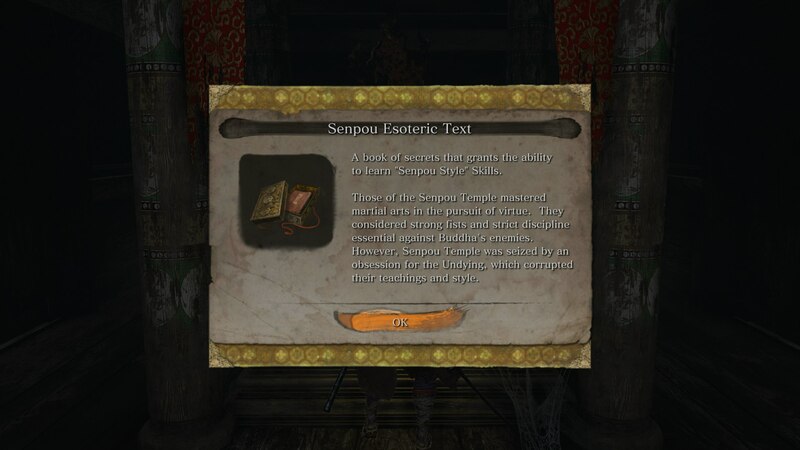 This is the Senpou Style Esoteric Text, which immediately unlocks the Senpou Style Skill Tree for use.